More SonoSupreme products releasing. We have expanded with more cable makers, but same quality control to assure you that all cables are perfect! Look out for the new Supreme line of products that will be released soon. They will be a very premium line of cables and will likely be showing up on ebay in small batches. SonoStasis MM Phono Preamp is now available for purchase! Check out this new Audio and Hifi Blog! Keep an eye out for the new SonoStasis MM Phono Preamp that will be coming out shortly! New product: SonoStradivarious III Speaker Cable. Our most refined speaker cable yet. New product: SonoSupply High Current Power Supply. A significant upgrade to the SonoSonic Power Amplifier. 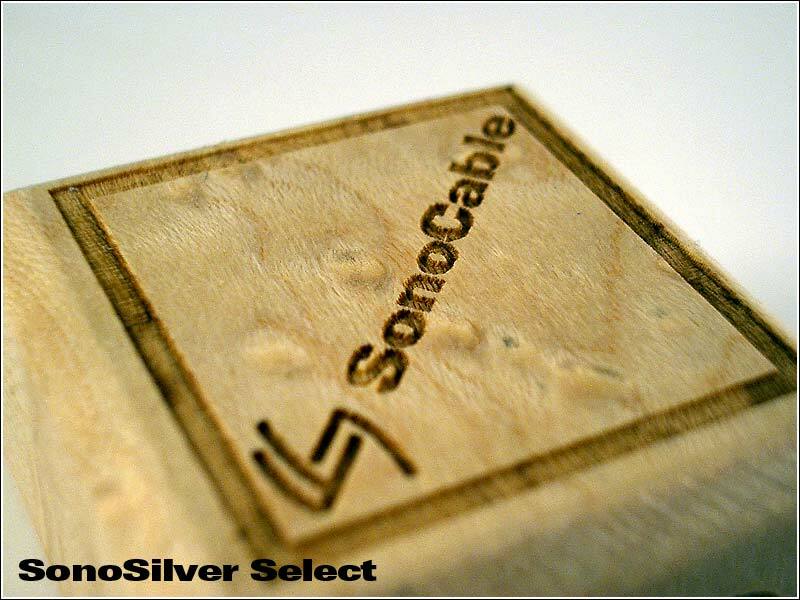 New product: SonoStradivarious II Speaker Cable! A new large gauge copper bi-wire speaker cable! New Feature: Pay without signing up for Paypal! In the past, customers had to have paypal accounts to pay online, now you can just pay directly with your credit card without signing up for paypal! New product: SonoSonic Stereo Amplifier! For a limited time, purchase a SonoSilence One with the SonoSonic and receive a free SonoSpec 0.5 Cable and receive 10% off your purchase! Finally, the SonoStradivarious Speaker Cable is out! With Cryo-treated silver-clad copper conductors and high-pressure gold-plated banana plugs. New SonoStack Quadplex Outlet expander now available! Also optional Cap Filter network. SonoSymphonic is also now sold out. We can no longer make these. SonoSilence Two has been discontinued because everyone seems to want the Silence One! I am Back! Everything is back to normal for the most part. Orders will be on schedule. I will be away May 13th until May 30th. If you place an order after May 7th, it may not be completed and shipping until after May 30th. All components will have a Dynamat Chasis Sound dampening upgrade available for only $5! All repeat customers receive 10% all subsequent orders! Email me to get the discounted prices. The base price of the SonoSpike Power cord has gone up $5 due to increase in cost of parts. Keep an eye out for a new inline filtered power cord! We are now offering Bybee Slipstream Purifiers on our SonoSilence One passive preamp. Upgrade is $250 and will take your preamp to the next level! Check out new Cable Isolators at http://www.cableisolators.com. Very reasonably priced and attractive cable risers to isolate your cables from ground vibrations among other things. We now carry Neutrik silver-plated XLR connectors in stock. They can be used with almost all of our interconnects: Spec Select, Seraph, Seraph Select, Silver, Silver Select and the Symphonic. Please email me if you are interested in purchasing a pair. Cost is an additional $35 over the RCA price. Febraury Promotion Sale! 25% off all RCA Interconnects, 15% off all Power Cords! Past customers email me for an additional 5% off all cables. All purchases also receive a free set of 3 yellow birch isolation blocks! SonoSilver Select Signature Bolos are in! Take a look at them here. You will have a choice of Tiger Maple or Bird's Eye Maple (shown). Pictures with Bird's Eye Maple will be up soon. SonoSymphonic 21-Strand Braided Silver Limited Edition Cable is now here! Built from 21 strands of NOS Pure 4N Silver Phono wire carefully braided and terminated with Solid Non-Magnetic Copper RCAs.